Bulldog Movers has served residents in Decatur and other parts of East Atlanta since 1982. Today, we’re still providing the same professional work and exemplary customer service that has solidified us as a top moving company in the area. From end to end, we’ll deliver moving services a cut above the competition and ensure that everything is on the up and up every step of the way. Call or email our local movers in Decatur today to learn more about the many services we offer and how we can provide a seamless relocation for you from start to finish. 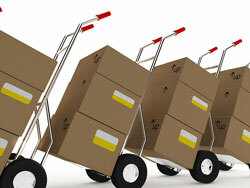 We’ll be glad to explain more about our moving company services and can answer any specific questions you may have.